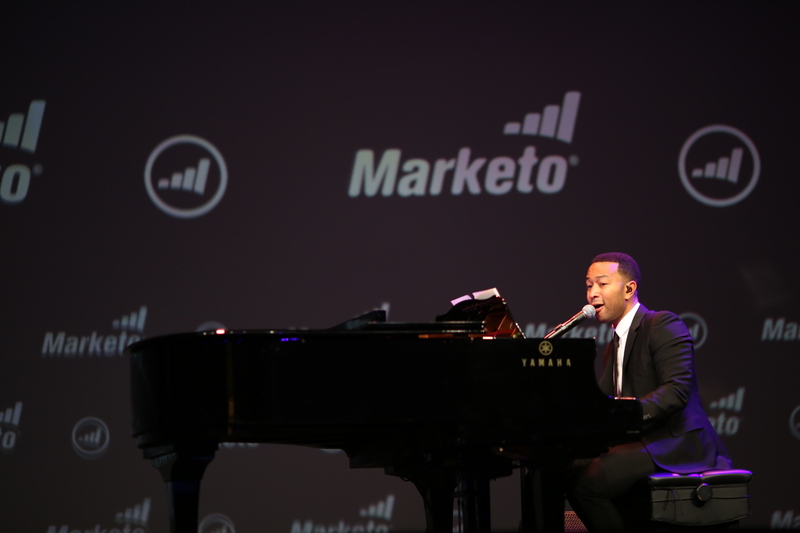 With a swarm of marketers buzzing around Moscone West in San Francisco, The Marketing Nation Summit 2015 kicked off with a bang! Marketers from near and far have traveled to join us, add to the energy of the Marketing Nation, and get inspired! 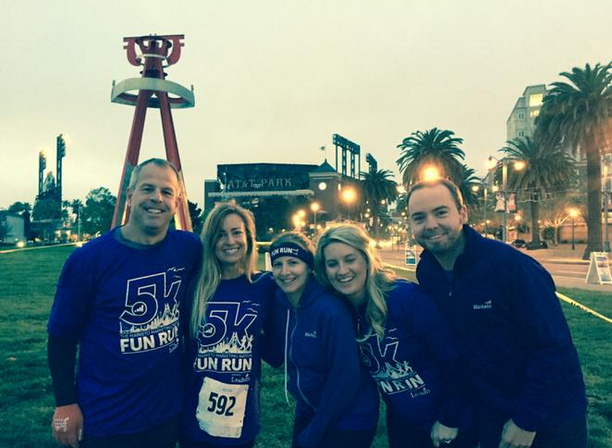 We kicked off the Summit on Monday, bright and early (although, to be honest it wasn’t quite light yet), with our Fun Run along San Francisco’s Embarcadero and around AT&T park. 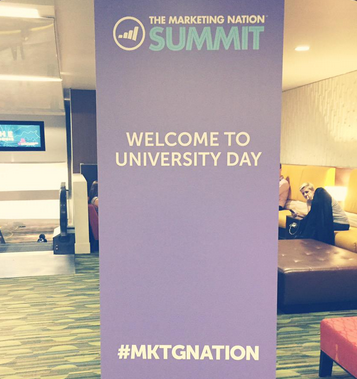 While some did a brisk morning jog, others got started sharpening their minds and honing their Marketo skills with University Day and certification courses. 6:30am Fun Run along the Embarcadero! Tuesday brought unprecedented crowds to Summit, with over 7,000 attendees eagerly anticipating keynotes that blew us away. 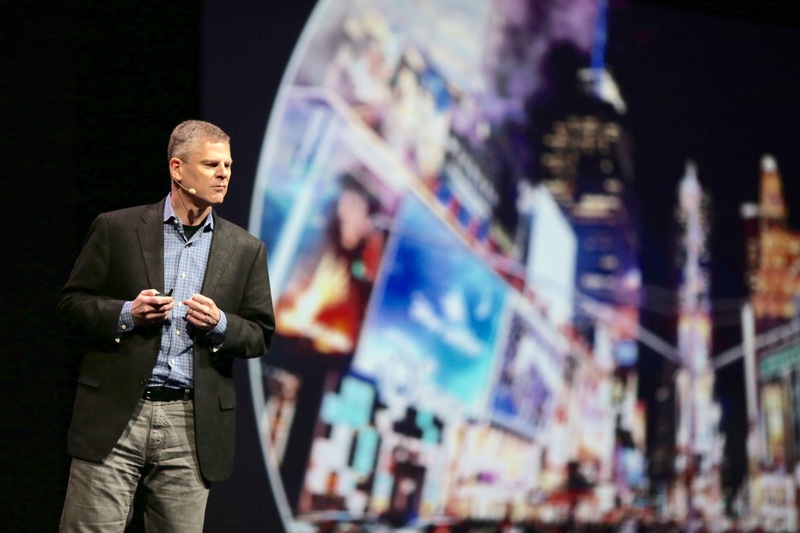 To start, Marketo Chairman and CEO, Phil Fernandez presented a vision for the future that changes the way marketers think about their role in the organization and how the conversation with their customers will change. In this new era of engagement marketing, mass marketing and campaign-based marketing fade into the distant past as marketers engage with customers across their buying journey, with personal and more relevant messages. Building relationships with people becomes the focus of marketers, as they shift into the driver’s seat at their organizations—becoming the strategic leaders and chaperones of the entire customer experience. 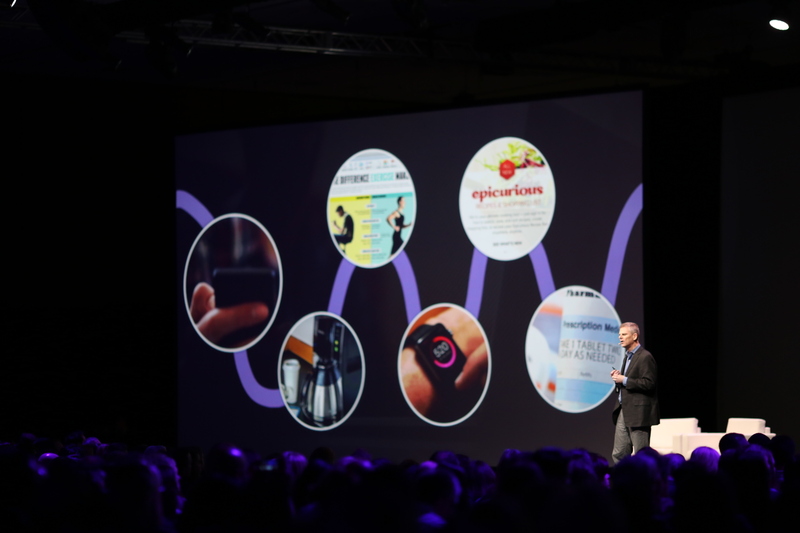 Finally, Phil wrapped the keynote with a landslide of new product innovations—from Ad Bridge, to Marketo Mobile Engagement, to Calendar HD—these innovations will help marketers adapt and thrive in this next era of engagement marketing. Then Phil introduced Arianna Huffington, President and CEO of The Huffington Post. Arianna spoke about her experience with inspiration and disruption, sharing with the audience the journey that she has taken with The Huffington Post as an organization. Arianna also shared a personal story of her own breakdown with the audience—a collapse from burnout and sleep deprivation that resulted in a broken cheek bone, stitches, and her seeking to answer the question ‘Is this what success looks like?’ Her answer? No. Well-being: Taking care of yourself helps you succeed, and it’s not just for the ‘yoga crowd’. Arianna illustrated the point with an example of Kobe Bryant who uses meditation and sleeping to improve his performance. She suggested simple ways to start incorporating this into your daily routine by adding a half hour of sleep at a time and encouraging organizations to add nap rooms (sign me up)! Wonder: When you are deeply engaged in ‘multi-tasking’, you miss out on the rest of the world. Side note: Arianna was quick to point out that according to research, there is no such thing as multi-tasking. Also, when you multi-task you miss out on the rest of the world—the small, ordinary beauties of life. She suggested trying to incorporate a device ban in meetings to see how it helps increase productivity. Giving: Giving is the short cut to happiness. It gives a reward unlike any other, and it starts by making personal connections with people that we would otherwise take for granted. As part of her push for giving, Arianna has pushed her organization to share journalism on ‘what is working’, inspiring stories of solutions, innovation, and compassion around the world. Arianna Huffington left the crowd excited, and energized, and…ready for a concert! So, enter Grammy and Oscar award-winning artist, John Legend. John shared his story of triumph over to reach his dream of being an artist. He also shared the power of being open to collaboration, unlocking potential between collaborators, and achieving even greater creativity. He urged the audience to make time specifically for creativity and then he shared the fruits of his creativity with a few choice songs that made our audience swoon. 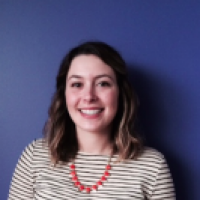 One of our Tuesday breakout session came from Marketo’s own, Heidi Bullock and Lizzy Funk, two pretty awesome demand generation marketers. These ladies kicked off their session, Complicated Marketing Analytics Made Easy, by sharing the fact that only 32% of marketers pursue a data-first strategy and pointed out that marketing without setting goals and measuring is like playing soccer without goal posts or a score…you’re just running around. Agree on terminology & be consistent: Do you and your sales team agree on the definition of a Sales Qualified Lead? Make sure you are on the same page! Set goals: Hypothesize or base your goals on previous numbers. Use the right language: Don’t talk about ‘cost’—it sets you up for failure. Instead, talk about your marketing activities as an investment; with a real return. Identify your metrics: Know what metrics you should track to identify whether you’ve accomplished your goal at different stages. Lizzy and Heidi shared examples of how to track results at the top, middle, and bottom-of-the-funnel—each with their own, specific metrics. Overall, they encouraged marketers to use their analytics to measure ROI and make future marketing decisions. Another great afternoon session was held by Ann Handley. She kicked off her session with an awesome example of beer coozies…unfortunately, no beer was present. But she did use them as an example of how a brand can and should use their voice to engage people with their content. Because there is so much content being created, many brands’ initial reaction is to speak louder. Ann emphasized how important tone of voice is for organizations to create effective marketing. Tone of voice tells the consumer: who you are, why you do, and what you’re like to deal with. So it’s very important to carefully consider and cultivate your voice, as it’s the ambassador of your brand. It was a whirlwind of a day and we can’t wait to see what day 2 brings! What was your favorite session? If you didn’t join us, is there a session you wish you had attended?